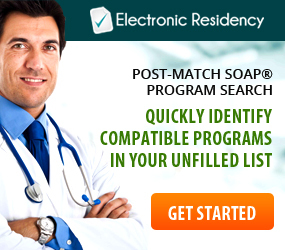 As the Post-Match SOAP® grows nearer and nearer, if you have any doubts about your chances of Matching during the Main Residency Match®, now is the time to look back and evaluate your application in preparation for participating in the SOAP. It is especially important to review, revise, and refresh any supporting documents you have control over to correct any possible errors. 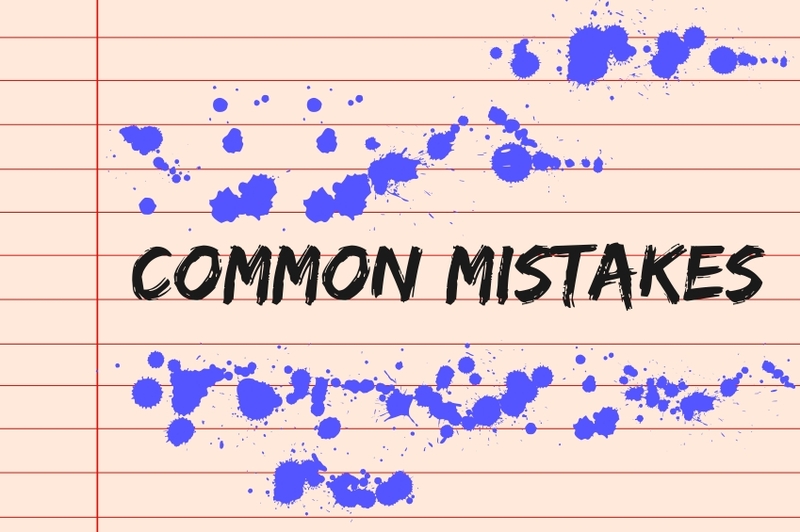 One of the common places residency candidates make a mistake is on their Personal Statement. Writing a Personal Statement can be tricky, and candidates often make mistakes they did not realize were there such as being too negative, using cliche or tired language, and poor grammar. However, there is one mistake that rises above the rest. The number one way to make or break your Personal Statement is whether or not it is specialty specific. Specialty specific means the Personal Statement is written directly for a given specialty such as Family Medicine or Dermatology. According to a Program Director survey conducted by NRMP called Results of the 2014 NRMP Program Director Survey, some of the top factors Program Directors use to judge whether or not to invite a residency applicant for an interview is their perceived interest in the specialty and the Personal Statement. Your passion and dedication to a specialty is best demonstrated through your Personal Statement. A generic Personal Statement covers a broad amount of subjects poorly, but a specialty specific Personal Statement can focus in on the values of a specialty. Each specialty values different personality traits and characteristics, skills and knowledge. You wouldn’t use the same information for General Surgery as you would for Pediatrics, would you? Now you may ask– If I have a specialty specific Personal Statement written, can I just switch out some of the words to make a statement for another specialty? No. 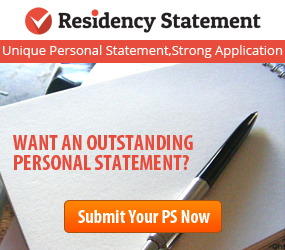 To have the strongest Personal Statements for the best possible residency application you will want to write fresh statements for each specialty. Trying to modify a preexisting statement can lead to a choppy, insincere sounding document. You may also accidentally leave in a word or phrase meant for the specialty you were originally writing about. Creating multiple Personal Statements may feel like a lot of extra work, especially for busy medical professionals. But, the benefits of having specialty specific Personal Statements can make all the difference in your residency application. Your medical residency Personal Statement has a powerful impact on how programs view you, not only as a professional, but also as a person. You have a lot of material to cover in a very short amount of time– which is why you don’t want to waste precious space on mistakes which may hurt your image in the eyes of program application review committees. Below is a list of the worst mistakes you can make on your Personal Statement. 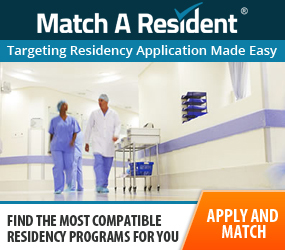 Plagiarism– This may seem obvious, but every once in awhile a residency candidate runs out of time before the Main Residency Match® opens for applications or the Post-Match SOAP® kicks off, and decides to use words that do not belong to them. Copying and pasting phrases or sentences from the internet is one of the easiest ways to ruin a Personal Statement and possibly get your whole application discounted in the process. Negativity– Everyone has challenges and struggles they face on the path to becoming a doctor. You may have gotten sick, lost a family member, failed an exam, or faced financial difficulties. It’s tempting to bring up all of these circumstances in your writing as a reason or excuse for how they affected you (gaps, red flags, etc. ), but putting negative sentiments in your Personal Statement shows programs you are not able to face adversity with maturity and adaptability. If you can’t grow and learn from your past, how can they expect you to handle the ups and downs of residency? Cliches or over-used language– A cliche is writing and language that has been used so many times it has become more of a joke than a meaningful idea. 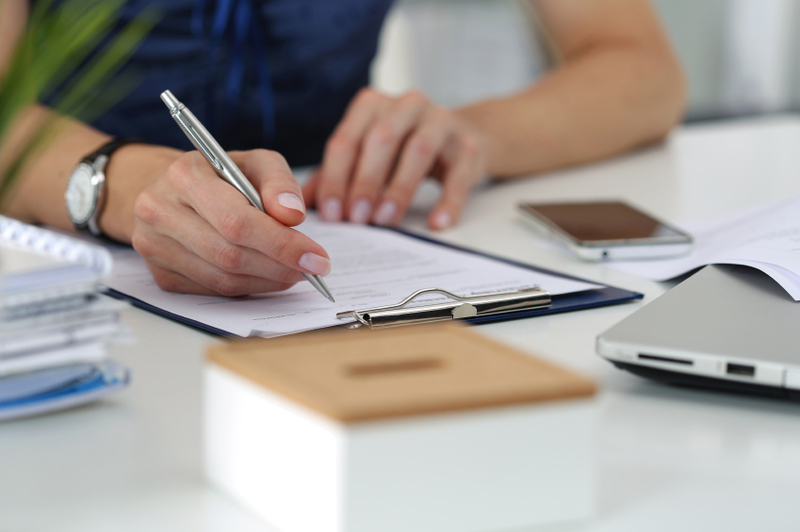 You have to remember that residency application review committees read thousands of Personal Statements each year and it is up to you to avoid tired or worn out ideas or language. 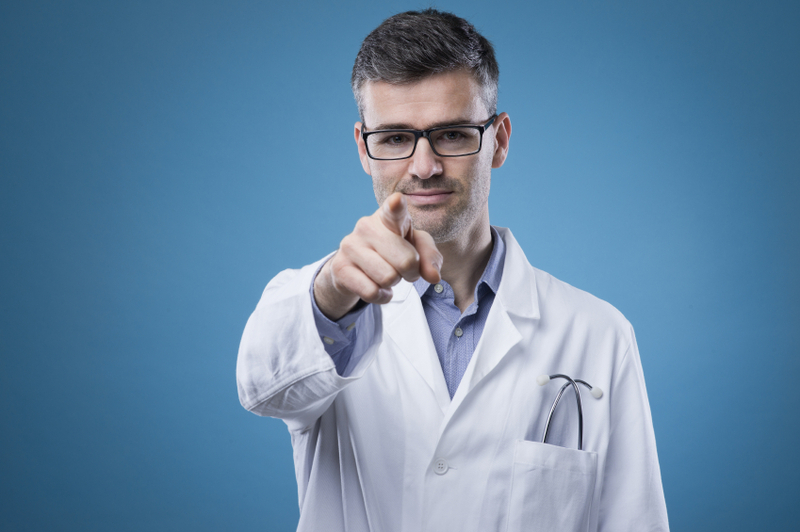 Of course, there are only so many reasons people want to become doctors, but you can make these reasons as unique as you are by adding your own personal stories. For example, it’s ok to say your dream is to be a general surgeon, but you need to validate the thought by adding your own personal story to make the content unique. What happened to you to make you want to be a surgeon? 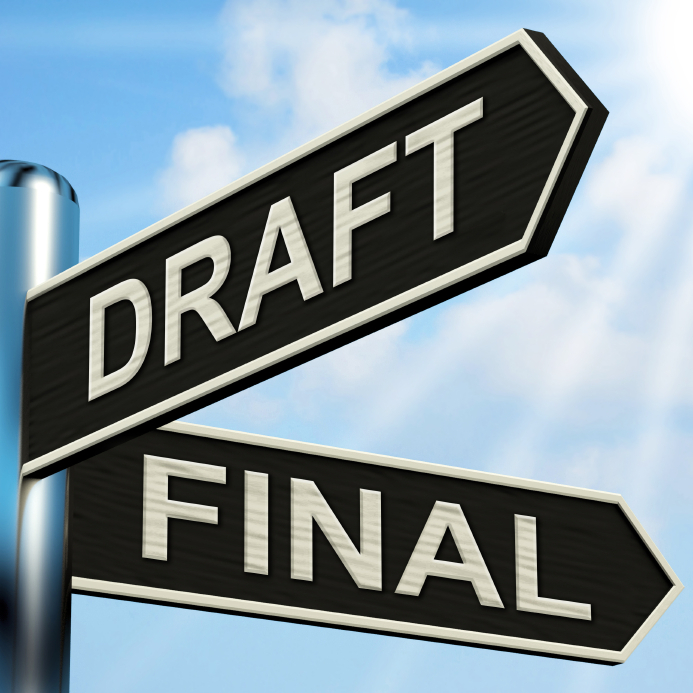 Templates– If you are pressed for time or don’t know how to write your Personal Statement, you may be tempted to turn to the internet for guidance. While it’s ok to use samples or templates for inspiration, to strictly follow a template takes away from the overall quality or individuality of your document. The use of a template makes a Personal Statement seem very stiff and awkward. You want a Personal Statement with your unique flair and a nice flow to the writing, not something that looks like you just filled in the blanks. Also, if you know a template was used, there is a good chance programs will figure it out too. Giving other people the credit– It’s one thing to consider someone your inspiration or mentor, but remember this is a Personal Statement. Dedicating a whole paragraph to the professional achievements of your mentor is a waste of space that should be used to talk about your achievements. You can use a mentor figure or favorite professor as an anecdote for your growth as a doctor or a segway, but keep the shout out short. Bad organization– Even the best, most fascinating content in the world can get lost if your Personal Statement is not organized properly. If your ideas are all over the place and there is no discernable organization to your thoughts, your document will lose much of its meaning, and without meaning, your Personal Statement is fairly useless. Avoid rambling and tangents. Stick to a 4 to 6 paragraph essay format with a thesis of your professional goals, body paragraphs for each goal with personal and professional examples, and a conclusion to tie it all together. 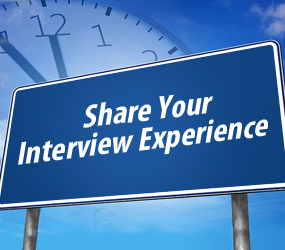 Being generic (no specialty focus)– According to a Program Director survey conducted by NRMP called Results of the 2014 NRMP Program Director Survey, the Personal Statement is one of the top 5 factors used to judge whether or not a residency candidate will be invited for an interview. The Personal Statement is used not only to judge you as a person and professional, but also your dedication to the specialty you are applying to. Each specialty has its own unique set of skills and traits it values. What Surgery residency programs want to see in a candidate is very different from Pediatrics residency programs. Therefore, make sure your writing is specialty specific to demonstrate how fit you are for your chosen field of medicine. One Personal Statement does not fit all. It is surprisingly easy to ruin a Personal Statement by being too negative, formatting it incorrectly, using templates, wasting space on the wrong topics, or being too generic. The Personal Statement is too important to rush through and submit to programs without proofreading and checking for the mistakes above. Make sure you re-read your Personal Statement multiple times, and get a fresh set of eyes, like a friend or professional service, to ensure you are not making the mistakes listed above that could cost you an interview. You’ve reached that agonizing part of the season where your residency application efforts may have hit a dead end. Despite your best efforts, you may not have received as many interviews as you wanted. There’s a chance something was amiss with your application materials whether it was an error on your ERAS Common Application or a weak Letter of Recommendation. One of the most common places residency applicants can make a mistake is the Personal Statement. If your residency application season isn’t going the way you want, you may want to consider getting professional assistance to review or rewrite your Personal Statement to make sure it is as strong as it can be in preparation for the Post-Match SOAP. But, finding professional help can prove to be a hassle in itself. So many companies out there want to take advantage of IMGs who are just trying to improve their chances without being ripped off. You need to be careful when seeking professional Personal Statement help and not to be taken in by the wrong company. Is the company offering a guarantee, or 100% Match rate? I cannot stress this enough, there is no magical service in existence that can guarantee you a residency position by using their services. There are far too many factors in the medical residency application and your personal and professional background which need to be in order. While a well-crafted Personal Statement will certainly improve your chances, it won’t secure you a residency position if you do not fulfill a program’s requirements or have another outstanding error on your application. So, if you see a guarantee, flee! Does the company have editors and writers trained to focus solely on Personal Statements? The best services have writers whose entire job is centered around medical residency Personal Statements. There are companies out there that have their editors working on Personal Statements, CVs, Letters of Recommendation and a slew of other documents at the same time. You know what they say about people who multitask, “They can do a lot of things at once…poorly.” When a person is spread out over a lot of different tasks, they may not be as careful with your Personal Statement as you want them to be. You also want editors who are trained with knowledge specific to Personal Statements and medical specialties. Any friend with good grammar skills can look over your document. You need editors who know how to make your Personal Statement specialty specific with the right vocabulary to ensure Program Directors can tell you know what you’re talking about. Does the company value quantity over quality? In this world of fast food and high-speed internet connection, it’s easy to get impatient with a service that doesn’t get your document back to you in a matter of hours. What’s important to understand and accept is that any rush job is just plain not going to be as good as the work of editors who are able to really take time and work on your statement. Now, it’s understandable to be a little impatient if the Post-Match is growing close, but unless it’s an absolute emergency, let your editors do their jobs the right way. How does the company develop your Personal Statement? This may seem like common sense, but to be absolutely clear, NO TEMPLATES. Any company that uses a template is off limits. If you know a template was used, you better believe Program Directors will know too. You want your Personal Statement to be developed in a way that comes off as natural and has a good flow to the language. Templates are stilted and stiff– not exactly how you want to present yourself to Program Directors. How old is the company? Now, older doesn’t always mean better, but like a fine wine, you want a company that has aged well and stood the test of time. A lot of companies pop up overnight and disappear just as quickly. Usually, these companies are in it to make a quick buck and give you sub-par service. Older companies are still around because people come back to them over and over, refer their friends, and provide a good quality service. Just remember, new is not the same as improved. With these factors in mind, you should be able to find the right Personal Statement help to aid you during the Post-Match SOAP. Just follow the clues until you find a company that fulfills all of these criteria.